specialises in toys and children´s goods distribution and retail. 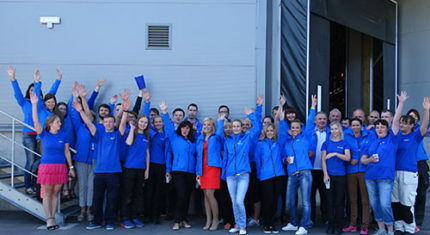 The company operates across the Baltic Sea region (Finland, Estonia, Latvia, Lithuania and Kaliningrad region of Russia), Georgia and in Uzbekistan. The HQ and the main logistics centre of the company are located nearby Tallinn allowing for flexible and hassle-free goods flow management. Anvol employs over 400 people and has an annual consolidated turnover of EUR 45 Mio (2019 FC), with average YOY turnover growth rate of 15%. across all our seven countries and 5 Chicco stores in Estonia, Latvia and Lithuania, a franchise brand of our long-time Italian partner Artsana. have a privilege of working for best customers in the world- for children! suppliers are Hasbro, Moose, Spinmaster, MGA, Trefl and Artsana. The complete list is much longer, of course. have been with us already for decades! 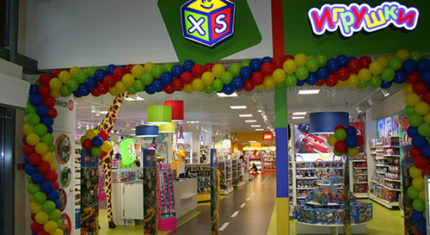 First XS Toys store opened its doors in Tallinn in 2004. 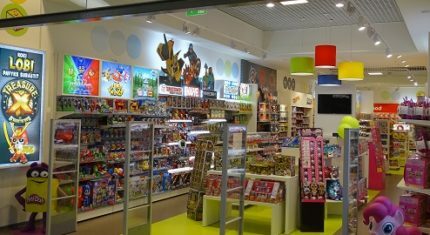 Nowadays the company is operating 45 premium toys stores located across Finland, Estonia, Latvia, Lithuania, Kaliningrad region of Russia, Georgia and Uzbekistan. As of 2011 XS Toys is also available for its customers online. XS Toys offers top quality products presenting them in a friendly and modern environment designed and developed in-house. Particular attention is given to the hot licences, TV and online content based characters and exclusive XS Toys product lines. Franchising agreement with Artsana S.p.A. – owner of Chicco brand – was signed back in 2002. 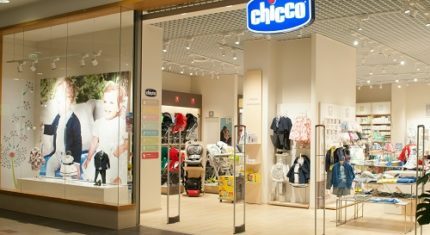 First Chicco store was opened the same year fall at Kristiine shopping mall in Tallinn, Estonia. Currently Anvol is operating 5 Chicco stores in Estonia, Latvia and Lithuania. Chicco stands for high quality products for children and babies including nursery, juvenile, cosmetics, toys and fashion. All these lines (except fashion) are also available for our customers through Anvol´s distribution network, making our product offer even more complete. The international credit information company Creditinfo Eesti AS certifies that OÜ Anvol has achieved a constant A-class credit rating over the last five financial years. A high rating is an indication of excellence: only 3,4% of Estonian companies can claim a constantly high rating. Creditinfo Rating is an assessment of a company expressed as a cumulative grade based on economic, financial and payment behaviour. The rating was calculated on the basis of economic data from 2013-2017. The certificate issued on 06.06.2018. 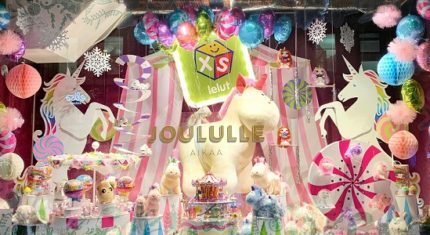 At the beginning of November, XS Lelut opened its Christmas window in the heart of Helsinki Stockmann department store. The window has been inspired by Christmas magic, fairy tales and circus. The window will remain open until mid-January. New concept Chicco store opens in Tallinn newest shopping center T1 Mall of Tallinn. 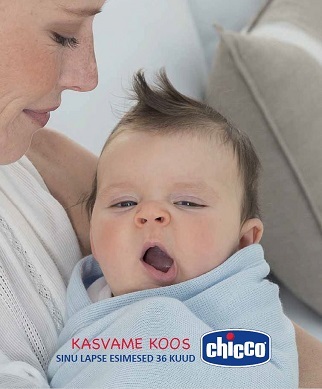 Another chapter in the development of Chicco concept stores in Baltics. A must-be location inside the most fashionable shopping center of Estonian capital. 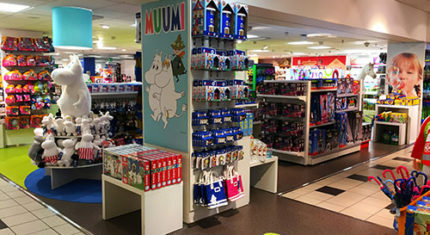 Flagship XS Toys store in Tallinn is the largest store in the chain with over 850m2 of retail space and represented more than 280 different brands. In new store is possible to watch Slimy machine, make a selfie in Babrbie photo booth, shoot with Nerf guns and spend time in handicraft area. Store has a spectacular view to airport. All new and old clients are welcome to our new store! The Champion of the world Beyblade Burst is crowned! With great pleasure and pride we want to announce that on 3. 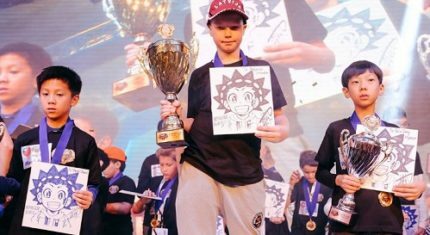 November, in Paris, the title of the world Beyblade Burst champion has been received by Latvian national Beyblade Burst championship winner Bruno Silerovs! Bruno – congratulations on the excellent results! New XS Toys store opens in Vilnius at Akropolis Shopping center. A must-be location inside the most popular shopping center of Lithuania capital. Tailor-made and fresh design – more fun for kids! 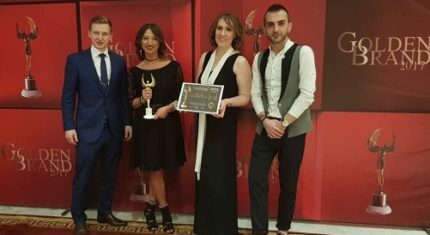 A jury of the marketing-, trading,- commerce specialists have chosen “XS Toys” as one of the Golden Brand laureates, the most prestigious business award in Georgia. The combination of marketing investments, service quality, wide up-to-date assortment presented in the most positive and joyful environment has been positively valued by the jury. There are 5 “XS Toys” stores located in the key shopping centers in the capital city Tbilisi, and one store in the streets of sunny resort city Batumi by the Black Sea. 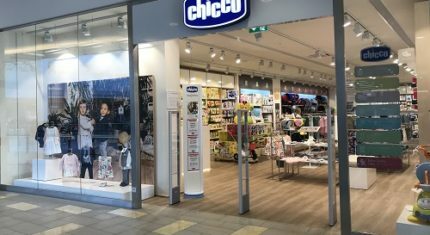 New concept „Chicco“ store opens in Vilnius, at „Panorama“ shopping center and is ready to start it‘s journey with a child! Flagship XS Toys store opening in Tbilisi, Georgia. A unique location of Galleria Tbilisi next to the Freedom Square and the historical old town makes it a perfect match for the newest addition to XS Toys chain. 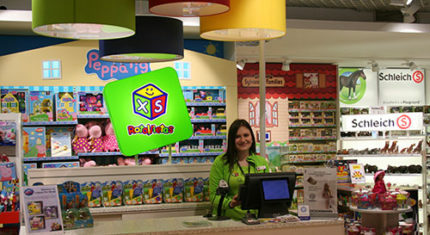 XS Toys store opens at Stockmann Central Department Store replacing Hamleys. The main highlight of 2017- co-operation with Stockmann department stores chain is taken to a whole new level. 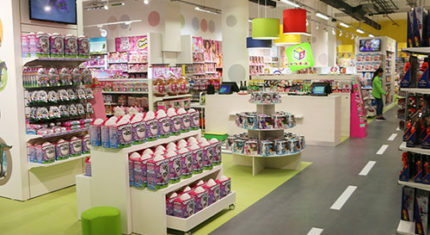 Flagship XS Toys store in Kaliningrad is the largest store of the chain with over 700 m2 of retail space. 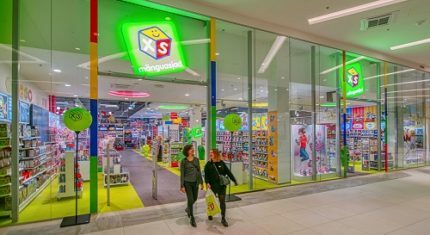 Located at Europe shopping centre in the very heart of Kaliningrad this XS Toys store will surely become a real destination shopping point for locals and tourists alike. 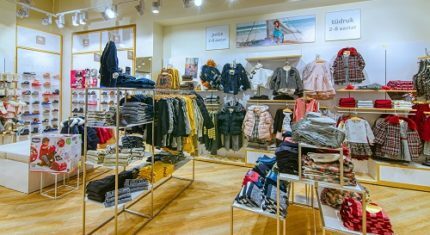 New concept Chicco store opens in Riga at Alfa shopping park. Another chapter in the development of Chicco concept stores in Baltics. A must-be location inside the most popular shopping centre of Latvian capital. 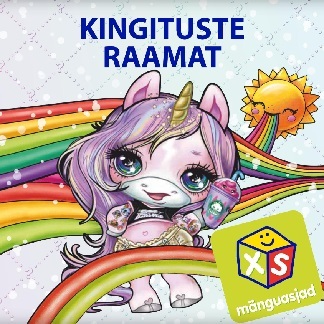 First XS Toys store located inside Stockmann department stores opens in Riga, Latvia. Co-operation with Stockmann department stores chain has begun! By the end of 2017 there will be already 8 XS Toys stores located in the most prestigious shopping locations of Baltics and Nordics. Anvol warehouse expanded. Another extension of the company´s logistics branch completed to accommodate Anvol´s growing needs for quality warehouse space. Anvol is 20 years young! Time flies and we are in our twenties now! A great party was held at Vasaknos Manor in Lithuania with over 100 staff and guests attending the event.